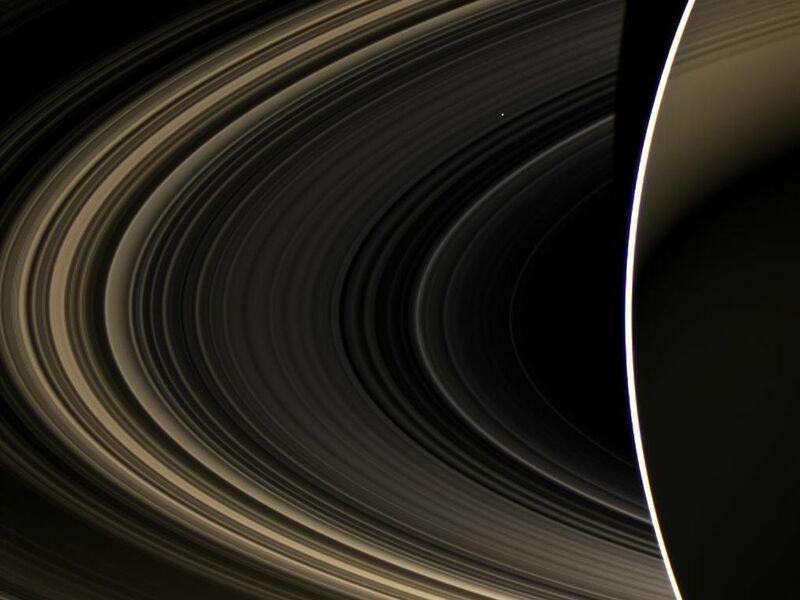 Peering over the shoulder of giant Saturn, through its rings, and across interplanetary space, NASA's Cassini spacecraft spies the bright, cloudy terrestrial planet, Venus. The vast distance from Saturn means that Venus only shows up as a white dot, just above and to the right of the image center. Venus, along with Mercury, Earth, and Mars, is one of the rocky 'terrestrial' planets in the solar system that orbit relatively close to the sun. Though Venus has an atmosphere of carbon dioxide that reaches nearly 900 degrees Fahrenheit (500 degrees Celsius) and a surface pressure 100 times that of Earth, it is considered a twin to our planet because of their similar size, mass, rocky composition and orbit. Venus is covered in thick sulfuric acid clouds, making it very bright. This view looks toward the unilluminated side of the rings from about 17 degrees below the ring plane. 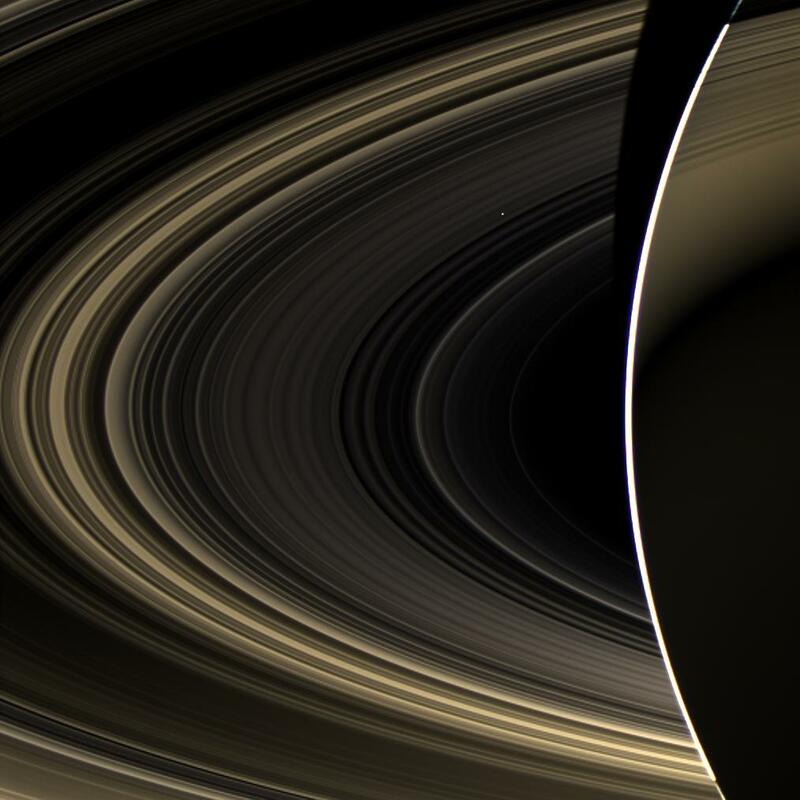 The image was taken in visible light with the Cassini spacecraft wide-angle camera on Nov. 10, 2012. This is a true-color picture of Saturn and Venus. A false-color mosaic including an image very similar to this one can be seen at PIA14934. 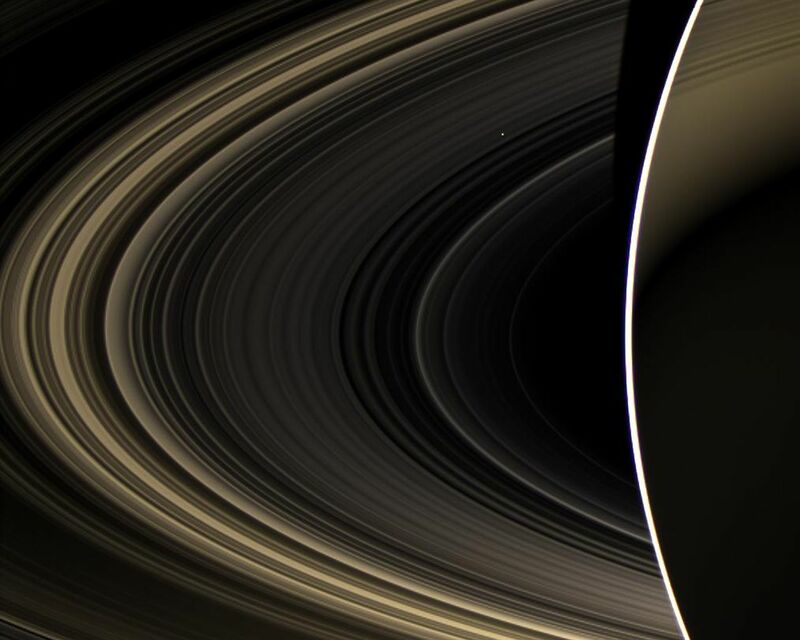 The bright arc is the limb of Saturn. 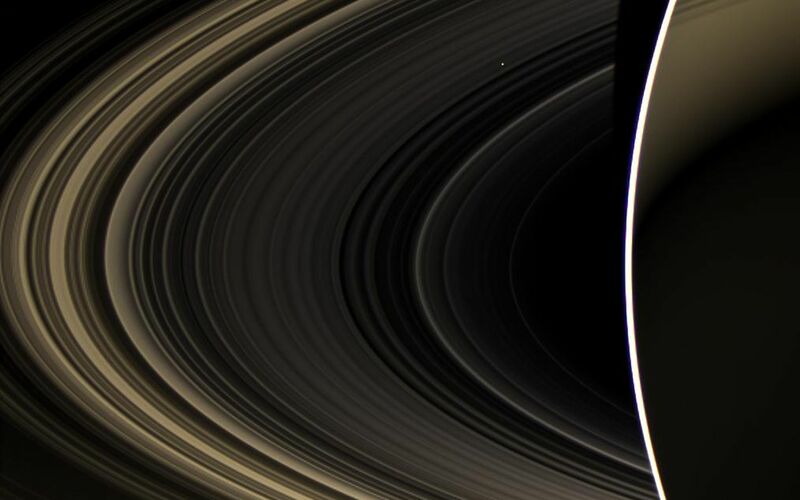 A portion of the rings is seen in silhouette against the face of Saturn, which itself is faintly illuminated by sunlight scattered off the rings. The view was obtained at a distance of approximately 498,000 miles (802,000 kilometers) from Saturn and at a sun-Saturn-spacecraft, or phase, angle of 178 degrees. Image scale is 28 miles (44 kilometers) per pixel.